Manufacturer & Supplier of Mixer Jar With Lids PC Dana. Our product range also comprises of Plastic Granules, Plastic Dana and Plastic Components. e first day of our inception, we manufacture and supply best in class Mixer Jar With Lids PC Dana. 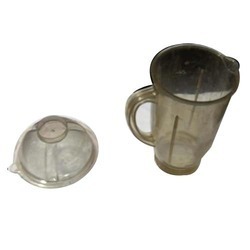 The best quality materials and latest machinery are used for developing the offered mixer jar with lids PC dana as per the set industry norms. Total quality management followed at each stage of production of the offered mixer jar with lids PC dana, ensures that its quality is never compromised at our end.